How’s the background noise in your house? Now we have our own children and nearly all of our friends and family have their own and I’m used to the noise. Especially during phone calls. 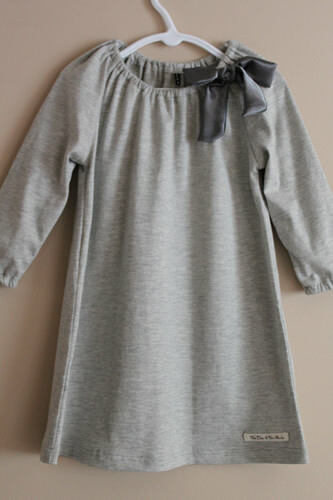 Kick start your little girl's winter wardrobe with this 100% cotton jersey dress featuring a satin bow - available soon in gorgeous colours. Thanks Gab! Happy to make a very special size 2 and size 4 – stay tuned for the available colours – hard to choose! Will finish one more colour tomorrow and add them all to the shop. Bring on the orders!